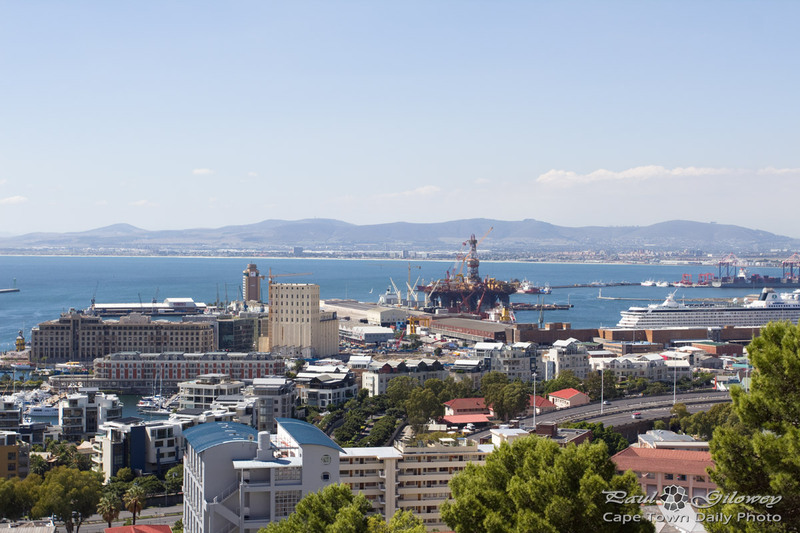 In case you're wondering what's in this photo - that platform and tower in the middle of the photo is our resident oil rig; slightly to the left is the brown port control building; and below that (and not quite as tall as the other buildings) is the elegant Cape Grace hotel. The rest of the V&A Waterfront is to the left of this photo, slightly out of view, and the hills at the back of the photo are the Tygerberg Hills, which are quite close to where we live. Posted in General and tagged waterfront on Wednesday, 9 April, 2014 by Paul.